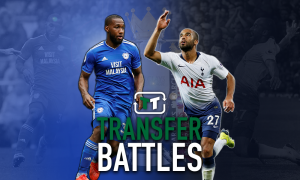 Neil Warnock's side desperately need reinforcements | The Transfer Tavern | Where football transfer rumours fly or die! 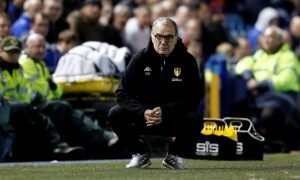 As Elland Road quickly emptied at around half past 9 on Tuesday night following an all too familiar lacklustre performance from the home side, it became blatantly obvious that Leeds United simply don’t have a good enough squad to meet the fans, and indeed Neil Warnock’s expectations. Whilst Neil Warnock has insisted that he believes his first choice 11 can compete with the majority of sides in this division, he knows all too well that his overall squad lacks in depth and quality. Now injuries are taking their toll on an already small squad and the results, which began positively, are going against Leeds. At 3-1 down with 10 minutes to play on Tuesday, in a game that Leeds had earlier led, Warnock will have been looking to his substitutes for options to change the flow of the game. Turning to the bench, he will have been concerned that the only attacking options he had were 34 year old Andy Gray, and 19 year old Dominic Poleon, who had only made two substitute appearances for the first team prior to Tuesday night. This highlights the lack of depth Leeds really have at present. The biggest injury loss to Leeds this season is undoubtedly Ross McCormack, who picked up an ankle injury early on in the defeat at Cardiff last Saturday. McCormack is one of the few players in the Leeds squad who has the ability to really trouble opposition defences and create opportunities out of nothing, so his presence will be desperately missed. With Warnock confirming he will be absent for up to 8 weeks, a replacement is badly needed, and quick. Such is the nature of the Championship, the games come thick and fast and Leeds have their third game in seven days against Nottingham Forest at the weekend. One name who has been muted is Kenwyne Jones from Stoke. With the signing of Michael Owen, adding to a strike force which already contains Peter Crouch and Jonathan Walters, Jones may find himself surplus to requirements at the Brittania Stadium this season. On Monday, Warnock hinted at his interest in bringing Jones in. He said, “We are looking for someone who can improve the squad, and we would love to get a striker in before Nottingham Forest.” Tuesday’s set back will only increase these wishes. Kenwyne Jones would provide a short term replacement for McCormack, but Leicester are also rumoured to be interested and may have greater pulling power due to their more flexible budget. Of course, with the transfer window shut, any potential transfer will be in the form of a loan, an avenue Leeds fans have become all too familiar with since relegation from the Premier League . The biggest stumbling block to a possible deal is likely to centre around what percentage of Jones’ wages Leeds are willing to pay. With Stoke looking to cut their own wage bill, and Leeds’ recent record of being notoriously stingy with the purse strings, the deal may stall and another club, who are greater prepared to pay the wages that Stoke demand, may snap him up. Here lies Leeds greatest worry this season. With a depleted squad, and limited funds to invest in that squad, a season of struggle awaits. 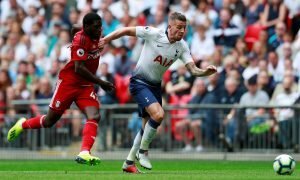 Conceding three for successive home games indicates that it isn’t just the attack that is short of quality, indeed all the outfield areas need addressing. Whilst other Championship sides with promotion aspirations are spending money on high quality Championship players, Leeds are stagnating, selling off their best talent, and appear to be going backwards. Perhaps Jones would be better off going elsewhere.